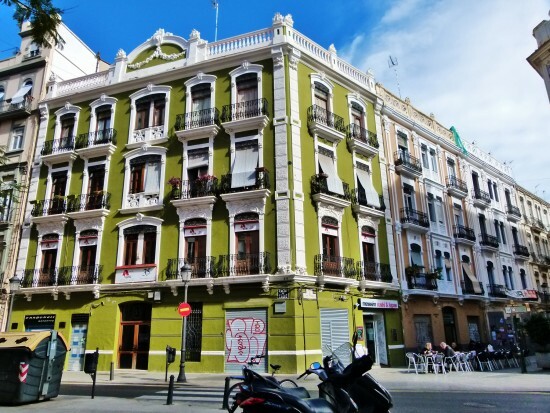 If you are looking for a renowned quarter in Valencia, you should visit Ruzafa. Rufaza is a famous quarter that offers you the latest trends. Traditional commerce, design, bars, vintage clothing, restaurants, art galleries etc. – Ruzafa is a place full of contrasts and you should definitely visit the entire district. Ruzafa is situated between Gran Via Germanías and Peris y Valero. It is the busiest quarter of Valencia and its name reminds of the Arab city´s history and means garden. Ruzafa belongs to the district called Ensanche. In this vibrant district you can find dozen of streets where artists, shopkeepers, seniors and tourists coming to visit Valencia live together. During the week you can discover its real face while visiting cosmopolitan cafes or places of daily life such as small businesses or experience the daily rush. In the morning you can experience the quarter in a more relaxed way than in the evening. If you look for more excitement than you will definitely enjoy the night life of the quarter while visiting its night terraces, having drinks and enjoying the nightlife from thursday to saturday in its renowned clubs such as Xtralarge and Nylon. `The Spanish Language School Costa de Valencia can offer you a unique opportunity to get to know the city very well while eating tapas with your classmates or visiting one of its numerous cultural events happening throughout the year. For example you can go to a small theater called Russafa Escénica or take part in various events such as Russafart, Russafart is an event during which the houses in this quarter are open to public to show the work of the artists who are living in these houses. There is another event that you shouldn´t miss that is called Fallas. During this event numerous extraordinary monuments and spectacular illuminations are to be seen between the Cuba and Literato Azorín streets. 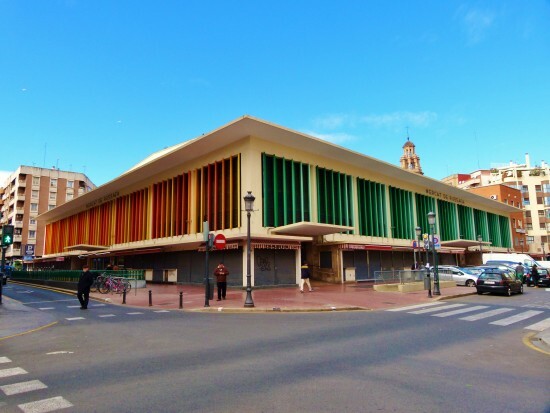 An important place is also the market at the Baron de Cortes Square together with the Church of San Valero. Both of these places are distinct features of Ruzafa. 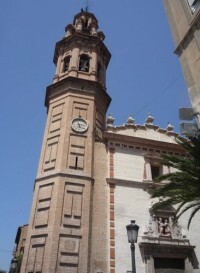 The old town is still alive, with its religious and folkloric celebrations like San Blas or the altars that portray the life of San Vicente Ferrer, patron of Valencia, mingling with the presence in its daily life that is full of changes that you can see every day at the city market which was built in the late 50s. On the market you can get the best vegetable of the Valencian region and taste the latest food trends in gourmet cuisine. On Cadiz Street you will find some must-sees that you don´t want to miss such as Café Berlin or Tula. In the Literato Azorín street you can visit Ubik and La Conservera where you can drink a cup of coffee, eat something sweet, drink gin and tonic or wine or have a snack for dinner. The square is bounded by four streets (Sueca, Cuba, Literato Azorín and Cadiz street) on four sides and it offers you lot of culinary experience for every taste and budget: from typical Spanish tapas to gourmet burgers, to vegetarian meals and meals in restaurants such as Ingredients, Black Turtle, Copenhagen, El Rodamón or el Rojo. On Denia Street and its neighbourhood you can find art galleries and concept stores such as Espai Tactel, Kowalski or Slaughterhouse. Regardless of at what time you visit Ruzafa, it is always a perfect place to see the latest trends in the city.